Pictures of birds standing around are boring. But pictures of birds doing birdy things are fun! 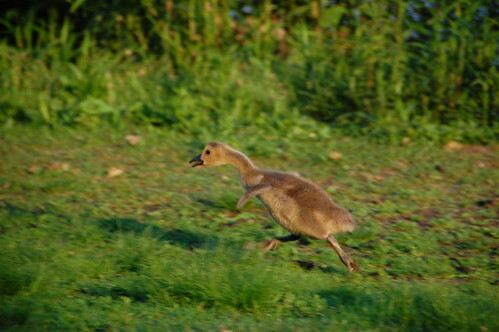 Of course with goslings it's hard to go wrong. 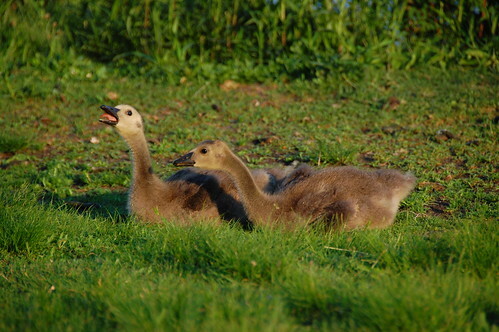 What's cuter than a baby goose? 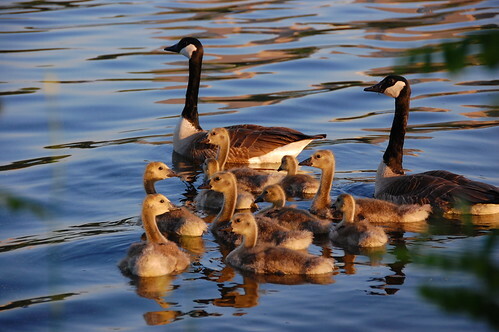 Ten baby geese.